Welcome to the first episode of the “Light the Fight” podcast! In this first episode, David and Heidi introduce themselves and talk about how and why they met. Since that time, Heidi has been learning more about the mental and emotional challenges that we all face and how they influence our relationships. Heidi has experienced first hand, the worry and fear of having a teen struggling with these challenges, and not knowing how to help. 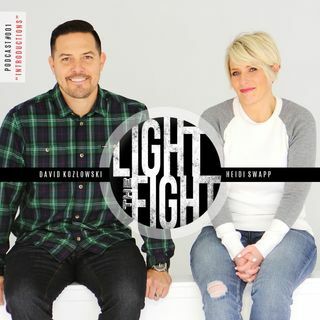 The “Light the Fight” podcast will present topics that ... See More parents need to understand in order to “RESPOND” to their kids, instead of “REACT”, and then “INITIATE”. While most of these topics are basic to the understanding and improvement of relationships, we as parents are expected to know this stuff… but have never formally been taught! We start here with an important TOOL for dealing with a child when something has gone wrong: “Be a first RESPONDER, not a first REACTOR”.